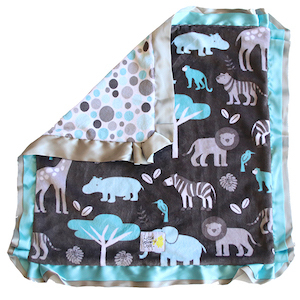 Animal Kingdom Jungle animals on this minky velour fabric with a gray background. The back is dotted minky velour fabric with a double satin. A Little Loop attached at the bottom.